The Food Intolerance Network provides information and support for people worldwide using a low-chemical elimination diet free of additives, low in salicylates, amines and flavour enhancers (FAILSAFE) for health, behaviour and learning problems. Have you seen these blogs since the last Failsafe newsletter? Does the RPAH elimination diet increase sensitivity to foods? Warning: ‘fermented wheat flour’ and ‘fermented wheat’ – unsafe for coeliacs (so far) OR unsafe for failsafers? 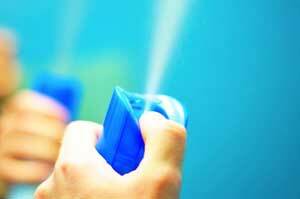 Asthma drugs linked to depression and suicide in children - is diet an option? Now targeting: If you want things to change, contact the food manufacturer! Your questions: I have recently been using Miso paste in my casseroles occasionally. The package states ingredients: water, soybeans, rice, salt, alcohol. Is the Miso powder safe? Support community: Failsafers talking to each other. UK facebook group https://www.facebook.com/groups/380347182034474/ again accessible. Looking for a Christmas gift for a failsafer? See the reader feedback on the new LYS (liberate your skin) moisturiser – basically, more expensive but works better than sorbolene. And don't forget our factsheet on Christmas and food intolerance. As always, thanks to everyone for support and sharing so freely given in the Food Intolerance Network, which currently has 14,584 members, including some very welcome RPAH-trained dietitians. You can scroll through the full text of all stories: for every story we report, there are probably another 10 that cover similar issues. And these are just the ones we get to hear about. Names have been changed to protect privacy. Success story collections: organised by symptom or by additive keywords are proving the most popular downloads from the website. They'll be added to as time permits. People tell us that stories are so useful and positive! I have had asthma for nearly all of my life and in more recent years have also suffered with insomnia, an inflammatory-state throughout my body manifesting as fibromyalgia-type pain, loss of energy, rhinitis and head-pressure at times, to mention my main ailments. I have tried reducing SAGs (salicylates, amines & glutamates) as well as food additives, having first come upon the book, 'Friendly Food', earlier this year and then coming across this website. Potassium sorbate, propionate, annatto, soy lecithin, soy products like soy sauce, yeast extract products have all been excluded from my diet through eating only salted butter rather than margarine, having no ice cream, not even being able to use Easio starter yoghurt culture because it contains soy lecithin therefore requiring me to use my own yoghurt starter. I don't eat vegemite or any other yeast extract products and am lessening my fruit and some vegetable intake. Unfortunately, for quite some time I have had to eliminate honey, not to mention jams. I have also excluded products like corned silverside and all hams, bacon etc. No cream cheeses. Now, I always make my own bread and several other food items. I have minimised coffee consumption from 1 cup a day to 1 cup a week and I may eliminate it altogether. I have gotten used to natural-flavoured cooking and like it. I now almost find food with soy and worcestershire sauce overbearing. Of course, stock cubes are never used now either. I use plain water to clean my hair rather than using shampoo, which I will use very occasionally, not every day which has been my habit up until now. This is to alleviate the rash on my forehead. After starting my low SAG, additive-free diet, the first miracle was being able to sleep again. I hardly need to take Ventolin anymore. My pain has left and I have far more energy. 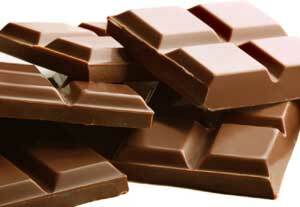 I wouldn't even consider trading my newfound better health for these high-chemical foods. I still have plenty of foods to choose from, especially if they are natural and not out of a package. Packaged foods include things like tea (I know, this is very high in salicylates-usually 1 per day), flour and rice. 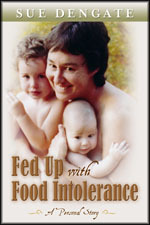 I first brought Fed Up in 1999, it changed our lives! My first son was like a eczema-covered cyclone, he was looking like being medicated for adhd as a toddler. Within months of starting the elimination diet and realizing he was extremely reactive to food chemicals I had a different kid, one that could concentrate. Although we had lots of time in the principal’s office in his early primary years he excelled in school and went on to be student counsellor and was chosen for the MAPS course, his future is bright! This is a great article. Love seeing the real life testimonies. The brochure is such a great resource. I came across it years ago and have never looked back. I now educate many on the harmful additives this brochure lists. Many lives are being changed by this information. Thank you! Feedback on LYS (liberate your skin) moisturiser https://liberateyourskin.com.au – formulated by a paediatric allergist and an experienced compounding pharmacist (coconut oil, glycerol, white soft paraffin, emulsifying wax, water. No preservatives, perfumes, soaps or parabens). Expensive at $46.75 including shipping for 500ml in a dispenser bottle but effective! Don't forget that there is great collection of short videos to help answer your questions and understand food intolerance. Thanks for your continuing support of each other! tweet as @failsafers (note the plural). Food Intolerance Network hit 11 million visitors in April 2018. 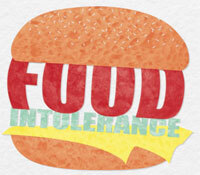 Interest in food intolerance and in eating food without additives continues to grow. Local contacts: can generally answer some questions about failsafe eating - many have brochures and a copy of the DVD to lend out. They can also advise on supportive dietitians locally. Newsletters: All Failsafe Newsletters can be searched and printed. There is a wealth of research, issue discussion, recipes, personal reports and recipes now available in one place. But some of the links are out of date and you must always check current products rather than relying on historical information. Success story collections: These are the most popular downloads from the website, organised by symptom and by additive. The Food Intolerance Network strongly supports the peer-reviewed publication of evidence regarding the effects of salicylates on health, behaviour and learning and acknowledges that more research needs to be published, particularly using dietary salicylates. However the very foundation of science is observation and these observations over many years show an astonishing and convincing range of real symptoms. We hope that they may assist in stimulating further research publication. I bought a Thermomix a couple of months ago, and absolutely love it. These machines are totally awesome, so pure and clean, and I truly believe that if we’d had a Thermomix years ago when our son was at his worst, it would have saved us a lot of heartache, as well as time and money - Susan. Privacy statement about emails and reports: Your email addresses and stories are never shared with anyone without your express permission. Names in stories are often changed to better protect the privacy of those providing them but the original emails are held in a secure location to provide evidence that these are real reports and that express permission to share them has been granted. Special offer for USA and Canada: Random House has taken over distribution of Sue's books in the USA and Canada, but our current warehouse in upstate New York continues to offer special prices until all gone: Go to http://www.bookch.com and search for "Sue Dengate"
Fed Up and the Failsafe Cookbook are now available as an ebook: www.amazon.com for Kindle, www.dymocks.com.au in ePub version suitable for Tablet PCs, PCs, Macs, Laptops, www.ebooks.com in ePub for digital and iPhone/iPad. This is the story that helped thousands of parents and adults understand this baffling disorder. Download a sample for Kindle (.mobi) or for other ereaders (.epub). © Sue Dengate 2018 (text) PO Box 718 WOOLGOOLGA NSW 2456, Australia but material can be reproduced with acknowledgement. Thanks to the many members who have written, phoned and contributed to this newsletter and particularly to Teresa and Tracy for their help with facebook and story collections. Further reading and viewing: Fed Up and The Failsafe Cookbook by Sue Dengate (Random House Australia), Fed Up with Children’s Behaviour (DVD) by Sue Dengate.